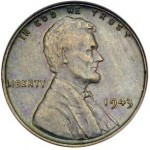 In 1941, toward the end of the year, 1941 10c dies were still being made as well as the dies for the coming year, 1942. Two of these dies became involved in an accident that created one of the few rarities in the silver “Mercury” dime series. Coin dies are made in stages. To make a die able to strike coins, the design must be stamped into it twice by a master die or Hub. Between each impression, the unfinished die must be heated in a process called annealing. A 1941 die and a 1942 die had both received their first stamping; now both dies were being annealed. When the dies were returned to receive their second stamping, the dies were accidentally switched. When they were stamped, both dies now had evidence of both the 1941 and 1942 date. 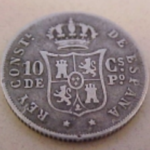 If you think you have this overdate dime it will have both a “1” and a “2” as the last digit of the date. The “2” will be mostly to the right of the “1.” See the image below. 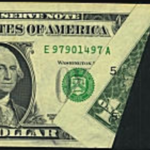 The 1942-D overdate will have the “2” in “1942” almost completely over the “1” and the “D” mintmark will have been repunched, that is stamped over a “D” that was placed in the wrong position. 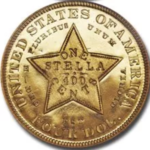 This coin error is very popular with collectors because of its unusual appearance, especially on the Philadelphia example. It’s worth at least $400 in average circulated condition. Uncirculated pieces are very scarce and are worth more than $1500. This coin should be authenticated by a numismatic expert. To be certain your coin is genuine, and to greatly increase its marketability, you should have it authenticated and certified as to grade by one of the independent third-party grading services such as the Numismatic Guaranty Corporation (NGC) or Professional Coin Grading Service (PCGS). 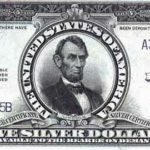 You may submit coins directly to NGC if you are a member of the American Numismatic Association (ANA) or to PCGS if you join their PCGS Collector’s Club. You may also submit your coins through an authorized dealer.